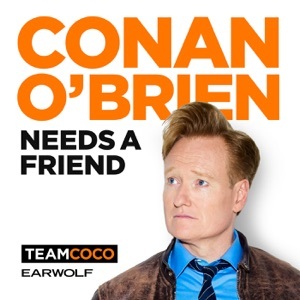 Comedian and actor Dana Carvey feels masculine about being Conan O’Brien’s friend.Dana sits down with Conan this week to talk about the key to a nailing perfect impression, how The Church Lady got her euphemisms, and memories of George H. W. Bush. Plus, Dana shares a few of his latest favorite characters, and Conan gets taken to task for losing his belongings by his assistant Sona on a reverse “True or False.”Got a question for Conan? Call our voicemail: (323) 451-2821.For Conan videos, tour dates and more visit TeamCoco.com.This episode is sponsored by Campaign Monitor (www.campaignmonitor.com/CONAN), tasc Performance (www.tascperformance.com code: CONAN), State Farm (1-800-STATE-FARM), Fracture (www.fractureme.com/CONAN), HelloFresh (www.hellofresh.com/CONAN80 code: CONAN80), Kendra Scott (www.kendrascott.com code: CONAN), and MeUndies (www.meundies.com/CONAN).